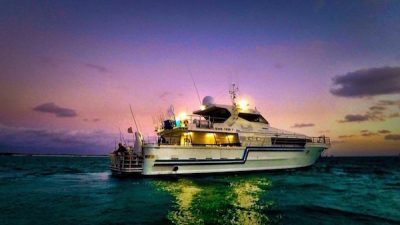 We offer you an amazing trip to the Abrolhos Island charters where you will be offered a variety of fun-filled and exhilarating activities that will refresh your minds and souls. The Abrolhos Islands are one of the most beautiful and eye-pleasing Islands that Australia has to offer, something that you really don’t want to miss out on! Whether it is swimming beneath the crystal clear water surface of the incredible Island, the delicious breakfast and coffee or the fishing holiday that you get to experience, all of it is utterly relaxing and reinvigorating. Wa charter , live-aboard accommodation, featuring meals, fishing rods, gear, bait and tackle. 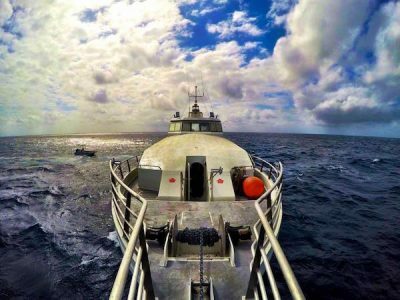 If you are crazy about fishing or want to try Deep Sea fishing charters for the first time, we have it all planned for you! Our crew will help you in the fishing and bag and freeze the fish for you thereby making it a totally fun experience. There are several fishing spots only minutes away from the mooring that feature species such as the Dhufish, Pink Snapper, Coral Trout, Balchin Groper, Tuna and Spanish mackerel. Be sure of an incredible fishing action experience for the Island has a wide range of species that you will encounter. We fish a maximum of 12 anglers per trip Live aboard accommodation on-board. Most of the charters are the group boat hire that last from about 4 to 7 days and caters about 8 to 12 people. The best time to line up is between April and August though the beauty of this incredible Island remains ever fresh during the whole year. Moreover, all meals and fish snacks are provided during the duration of the trip on the Pelican. Montebello islands fishing charters, Departing from Exmouth or Dampier take to the Ocean with us for a week of fresh Salt air! With over 100 small islands in the group, the Montebello’s are surrounded by magnificent virgin coral reefs with water temperatures perfect for snorkelling, fishing, swimming and scuba diving. The many reefs in the area, all with in easy reach by our charter vessels the Pelican or Live wire. These vessels transports you to the Montebello’s and once there becomes your “Floating Accommodation” to take you fishing, diving, sightseeing, surfing or whatever it is you have in mind. Spend six nights and five action packed days exploring the natural wonders of the islands. Accommodation for the trip is provided for 14 people. All the food whilst on our tours is supplied and prepared by our resident cooks in a congenial, homely atmosphere – the ocean adds all the fresh seafood delicacies that you could eat. We have 4 x 2 bunk cabins and 2 x 4 bunk cabins, 3 bathrooms, a large galley, dining area and most importantly, a large outdoor area leading down to a transom board – Everything you require for a great holiday! Montebello islands fishing charters. Some the best in Australia offers – Reeling in Spanish Mackerel, Red Emperor, Coral Trout, North West Snapper (Spangled Emperor), Trevally and Cod. Sailfish and Marlin also inhabit the rich blue waters of the Montes. Running a nice Lure at around 8 knots is sure to get some interest from a billfish or two, with by-catch such as Mackerel, Wahoo, Dolphin Fish, and Tuna.! There are also plenty of Crayfish just waiting to be caught, cooked and feasted upon. Dinghies’ and Tenders, are available for you to explore the Islands’ mangrove swamps and isolated beaches. Whether you want to book this ultimate adventure trip individually or wish to make your own group with family and friends, you are most welcome! The options for whole boat bookings are available by getting in touch with the owner operators Brandon & Peter for your fun-filled and adventurous Island Tour. So get ready to hook your first huge Spanish mackerel because you are about to shock yourselves and also the most experienced fishermen! Here are a list of things that you should keep in order to have a completely amazing experience with utmost fun and great convenience. Take a look at some important information below! Return time is between 12:00 & 16:00, departing just 4hrs from Perth. 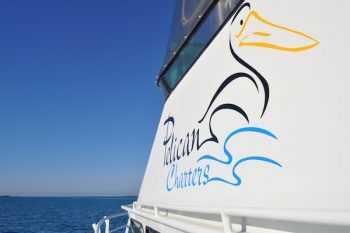 The Pelican serves to be one of the finest charter boats that offer a comfortable day at the sea accommodating about 12 people all set for a thrilling experience! With immense experience and established goodwill, we serve to offer one of the best charter packages that will not only let you fully enjoy your time but also serve to be reasonably affordable for all! For us our customers are our main priority and that is really what sets us apart from others in Perth. So if you ready for a memorable and exciting experience, call us now on 089 2491535 and we will get back to you in the soonest possible time! Time for some fun and adventure!